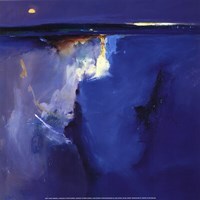 Landscape artist Peter Wileman (Born in 1946) was born in Middlesex. 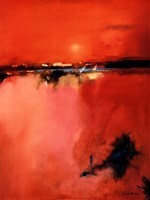 His style is vigorous and bold, both in the handling of paint and use of color. 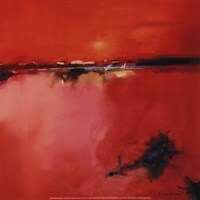 Wileman’s oil paintings reflects his painterly and highly expressive technique as he explores the effect of light on his subject. He works in varying degrees of abstraction seeking atmosphere through color and light. He has worked in the field of art and design for more than 4 decades. Wileman is a Fellow and the former President of the Royal Institute of Oil Painters, a Member of the East Anglian Group of Marine Artists, the Royal Society of Marine Artists, and a Fellow of the Royal Society of Arts. His reputation is enviable as a master of execution and observation, his outstanding work in art has been recognized with various awards including the Cornelissen Prize, the Frank Herring award, The DAS Prize in 2007, and The Dartington Crystal Chalice in 2012. His large-scale compositions have quality that many have described as painterly, derived from the impression of spontaneous creativity and the apparent vigor of the brushstrokes, which make them both uplifting and dramatic. His paintings are all about light and how people see it and react to it. This is what drives him on. Yet, according to him, light can be as elusive as artists try to capture it in all its many moods. Wileman’s brush is never still. Painting for him is as much a part of the day as sleeping and eating.